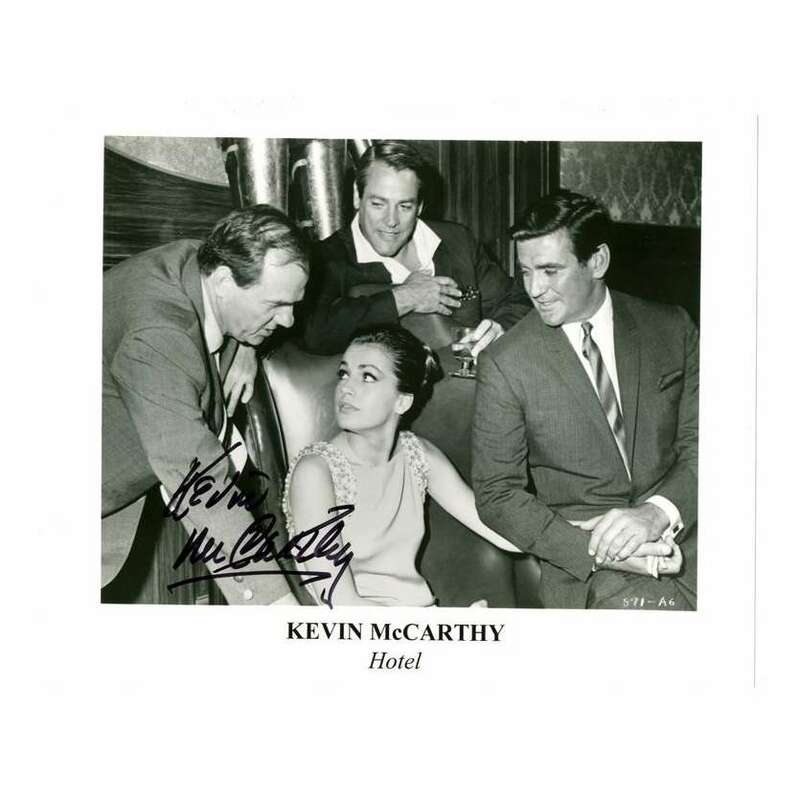 > Autographs>KEVIN MCCARTHY signed 8x10 REPRO still '90s close up with his co-stars from Hotel! KEVIN MCCARTHY signed 8x10 REPRO still '90s close up with his co-stars from Hotel! An Autographed Color 8" x 10" REPRODUCTION Still Condition: Very Good to Excellent (C7) See our 10 GRADE SYSTEM Page for more information. Kevin McCarthy (February 15, 1914 – September 11, 2010) was an American stage, film, and television actor, who appeared in over two hundred television and film roles. For his role in the 1951 film version of Death of a Salesman, he was nominated for an Academy Award for Best Supporting Actor and won a Golden Globe Award for New Star of the Year - Actor. McCarthy is probably best known for his starring role in Invasion of the Body Snatchers, a 1956 horror science fiction film. 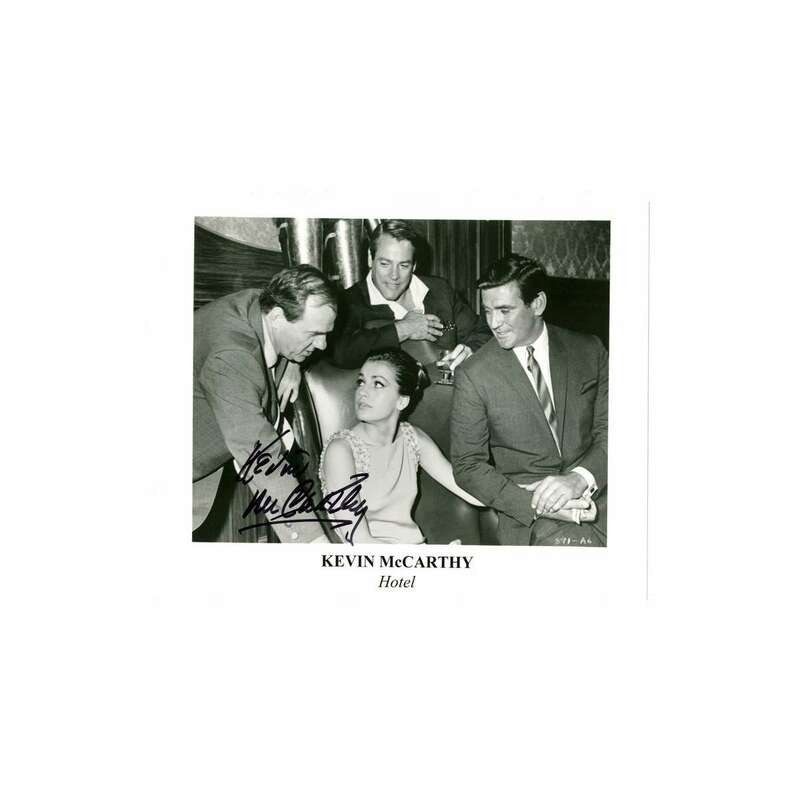 Important Added Info: Note that this REPRODUCTION still has been personally autographed (signed) by Kevin McCarthy!